Fox has renewed both shows in its current Monday lineup for third seasons. 9-1-1 and The Resident, both reliable network players, will be back next season amid a slew of changes for Fox. The Resident has been a steady performer that has consistently delivered performances in the neighborhood of 0.9. 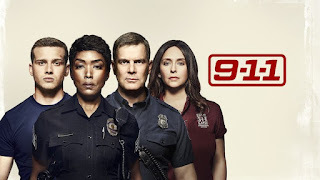 Meanwhile, 9-1-1 has been one of the network's top dramas and was Fox's #1 drama last week, when the series had its midseason premiere. The Resident stars Matt Czuchry and Emily VanCamp, while 9-1-1 stars Angela Bassett, Peter Krause, and Jennifer Love Hewitt. Both were correct predictions for The TV Ratings Guide. What do you think of this news? Will you be tuning in to the upcoming seasons of either show? Let us know in the comments below!